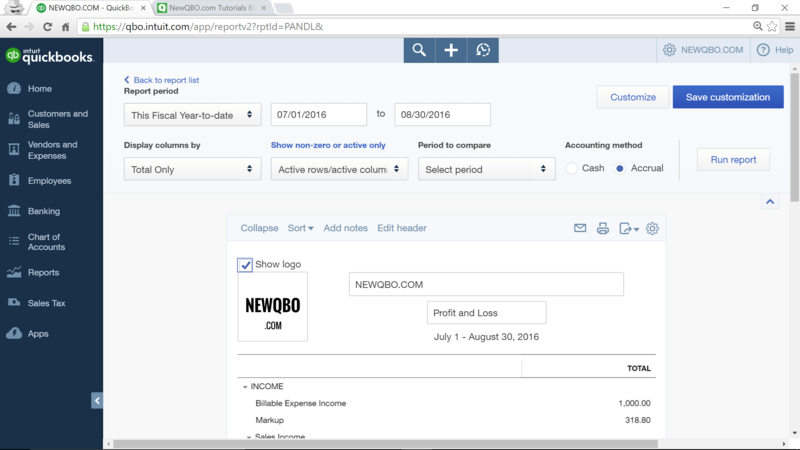 Here’s what’s new in U.S. QuickBooks Online (QBO) in August 2016 that I have noticed so far. These are few minor enhancements, nothing big updates. Edit header to show a logo and change the report title and subtitle. You can also click right on the title. 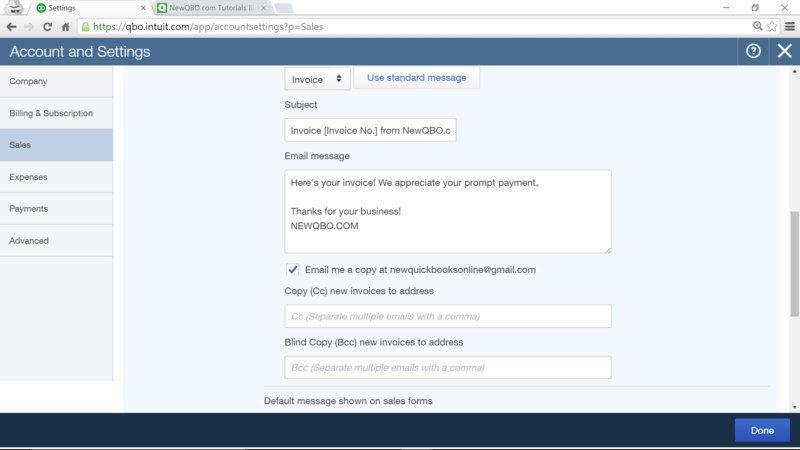 Email Messaging for Invoice: Add a Cc and Bcc email address to emailed invoices. This comes in really handy to share with a group of employees who needs this data. 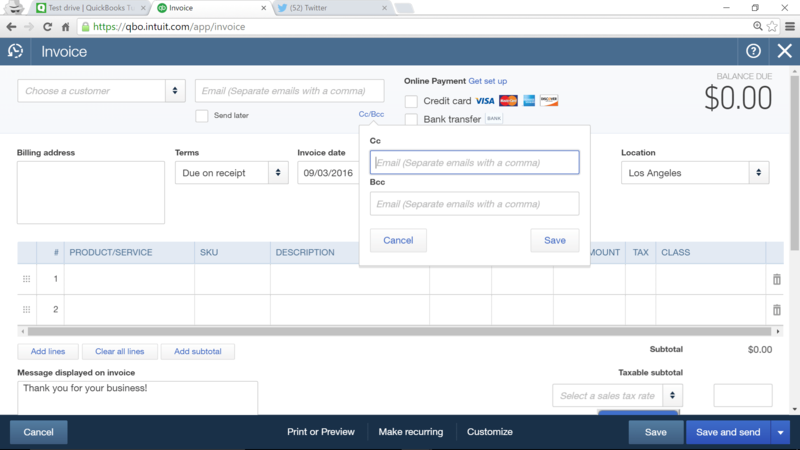 They have also added Cc/Bcc field to Invoice form as well. 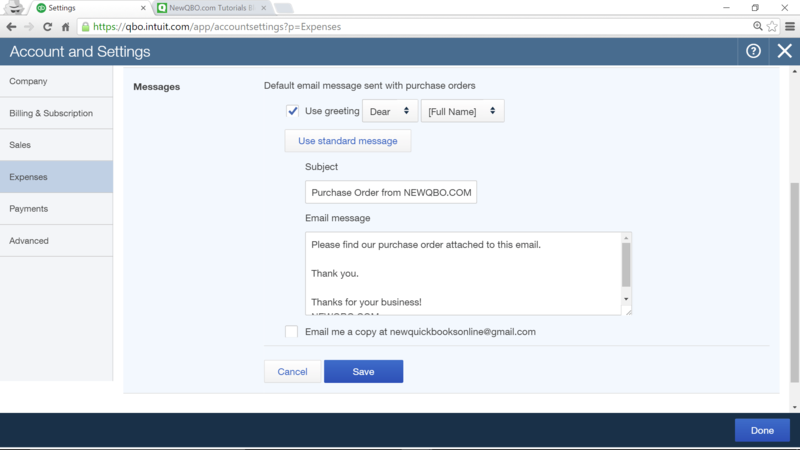 Email Messaging Purchase Order : Create default message for emailed purchase orders. What is a bundle? A bundle is simply a way of grouping products and services that you often sell together. 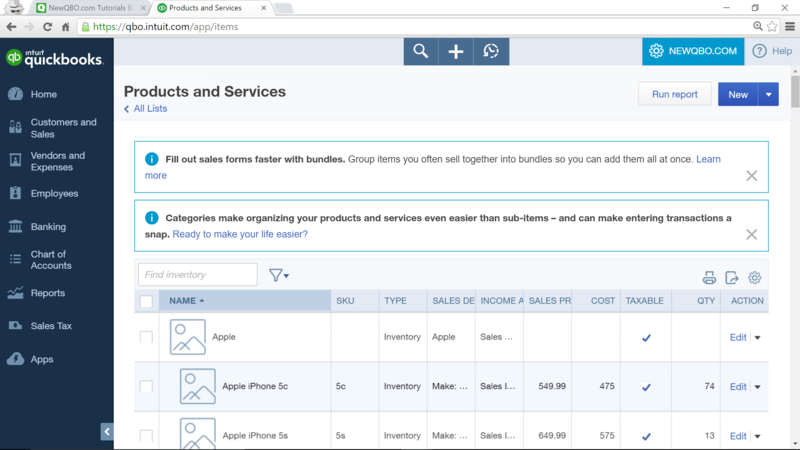 Bundles save time when you create sales transactions. 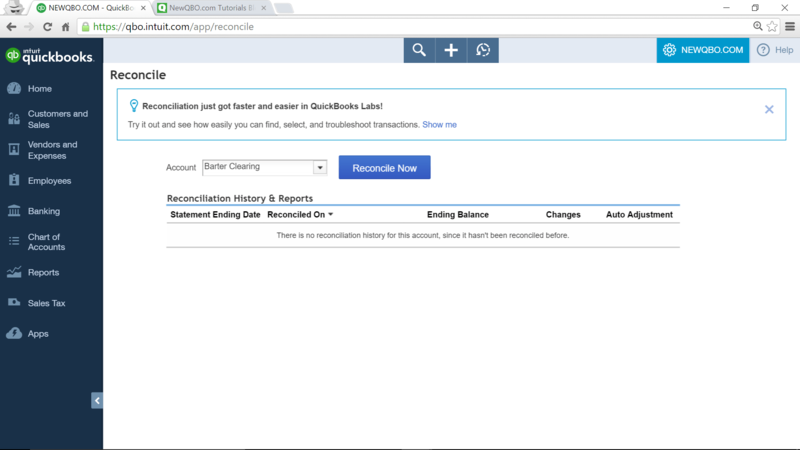 Instead of entering each product or service as a separate line item, you just enter the bundle itself, and QuickBooks automatically adds the bundled items to the transaction for you. 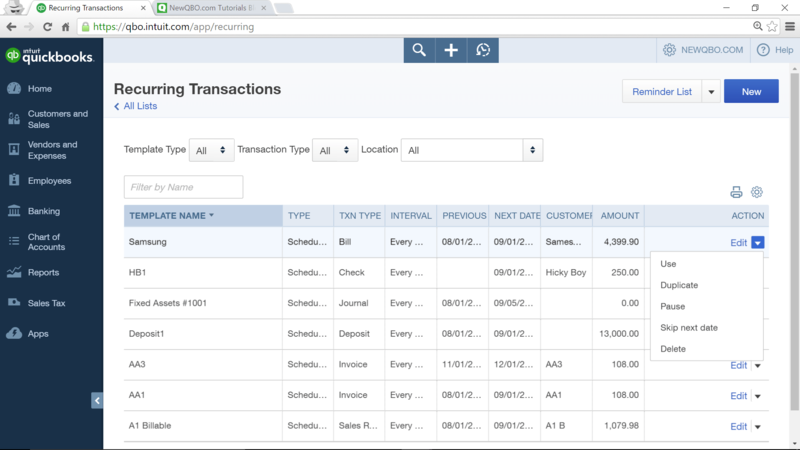 How do you apply customer payment that has a merchant fee to an invoice in QBO?